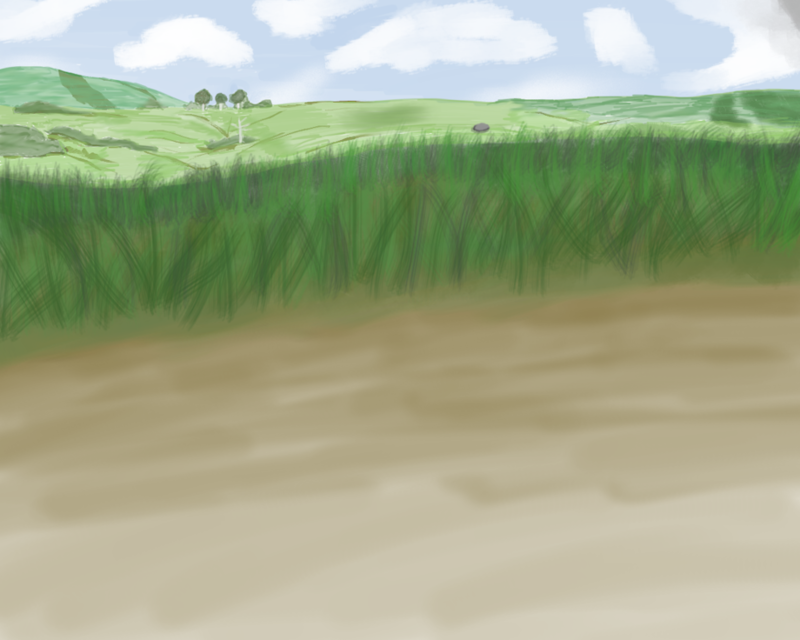 A farm field that's a background for an upcoming image at some point. I did trace a small part of this from another image BUT it's only the far hill, trees, brush and far land line. Everything else was me and I'm super proud of it. The middle tree is my own and I think it came out pretty well. No idea why I placed a random rock/boulder in the middle, but I guess it does give a little more to the image.